In Modified, social and psychological aspects of becoming a cyborg are explored through the use of augmented reality (AR). The piece consists of three different scenarios or modules that are meant to play out onto a participant’s skin. 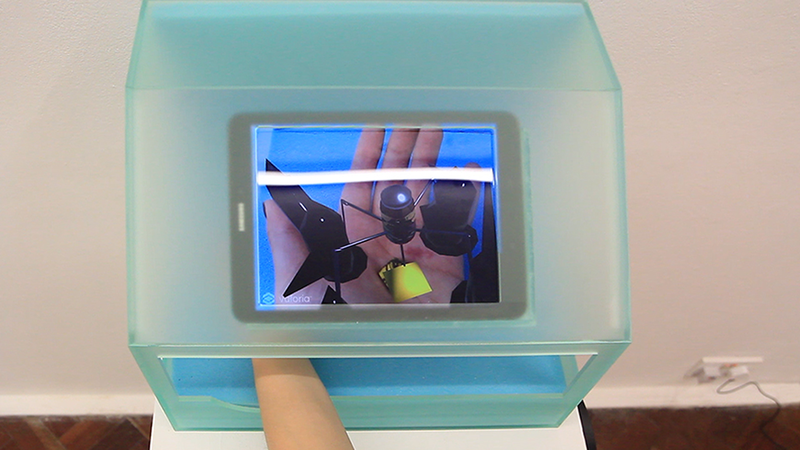 Through the use of AR, Modified explores the role of the implant in cyborg aesthetics as well as the idea of perceiving the human as a host to the technology. Three different simulations of an implant penetrating into the participant’s skin are constructed, each imagining a different aspect of a possible human enhancement. Based on survey research as well as futurist theory, the idea of the piece is to provide different alternatives to what being a cyborg could mean. This piece was produced as part of the LCN artist development programme. Through mentoring and technical support, the programme supported my research and experimentation with augmented reality, further enabling me to incorporate this knowledge into my practice. Sound design produced by Ed Berriman.